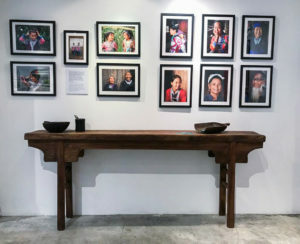 In the context of the association’s twentieth anniversary, Couleurs de Chine Hong-Kong organized, from November 22 to 25, a photo exhibition about the minorities of northern Guangxi province, their environment, culture and traditions, as well as on the actions carried out by Couleurs de Chine since its creation by Françoise Grenot-Wang. Discover how our local team experienced this extraordinary moment. 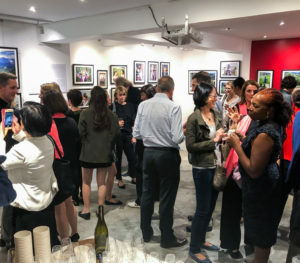 “For this exhibition, we have gathered 51 beautiful photos, some selected from the Colours of China photo library and others taken during our trip to Danian last May, by members of our Hong Kong team. 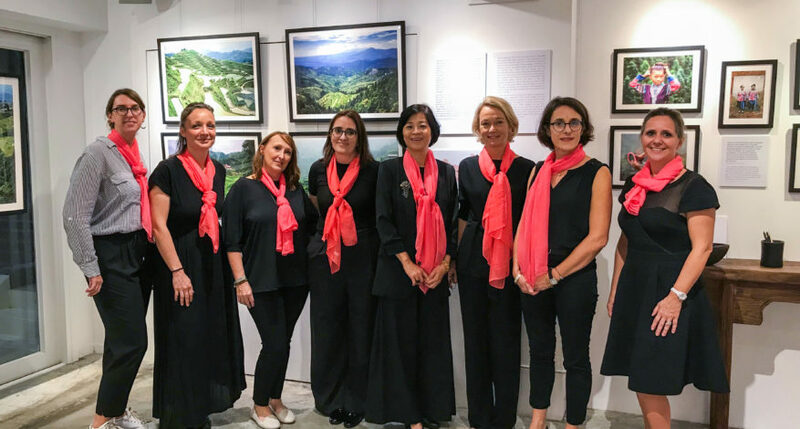 Also on display were Miao embroideries brought back from Danian, as well as four original illustrations from the coloring book created by artist Assia Benani for Couleurs de Chine. 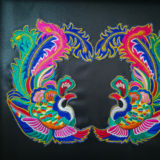 All the photos, paintings and embroideries were on sale for the benefit of the association. 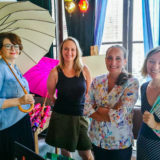 During the four days of the exhibition, which took place at the Usagi Gallery in the lively Central district, we organized exciting lectures and fun workshops on Chinese culture. A day was dedicated to children, with workshops in cutting, watercolour, calligraphy and ethnic bracelets. The event was a real success, both in terms of the visibility given to Couleurs de Chine in Hong-Kong and of the financial benefit obtained. The opening night gathered about 150 people. The atmosphere was joyful and friendly and the feedback from visitors was very positive. They were very sensitive to the meaning we managed to give to the exhibition, which focused on the minorities living around Danian, on the villages and mountain and rice landscapes of this region on the border of Guizhou province, as well as on the actions of Couleurs de Chine and the success of the young female graduate students sponsored by the association, who now work in their field. We would like to thank our Hong-Kong sponsors and all the volunteers who made this event a success!